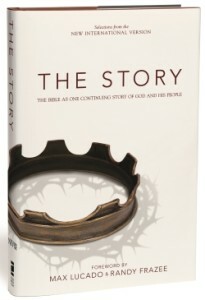 Fairfield Grace is working its way through The Story, the first book of the Biblical study series by general editor Randy Frazee. Each week focuses on a key question, key idea, key verse, core truths, and questions to reflect on. The study begins in October 2018 and continues through June 2019. The authors have created several special editions of their book written just for kids of all ages, with books for children ages 8 and up; and an easy to read, illustrated version for our littlest ones. The children’s versions guide them through the same stories their parents are reading. For more information on how to order the book or about the program, please contact Karen Price.